My gosh those flavors look awesome - with that bed of basmati rice! Ill try this later this weekend. Will let you know how it was. 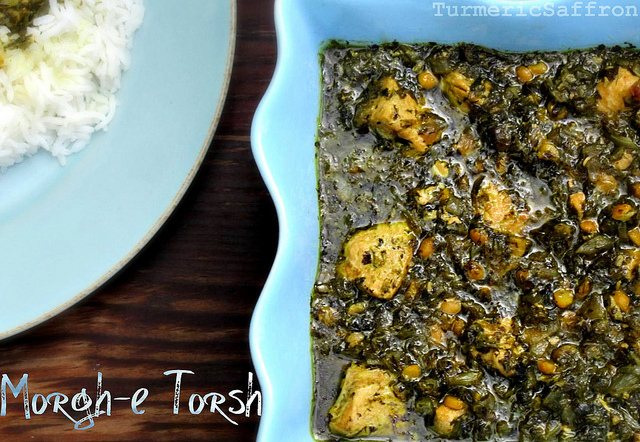 My mother-in-low makes morgh-e torsh with rob-eh narenj and hers is quite different. I'm going to have her try this version, too. Yours looks beautiful! 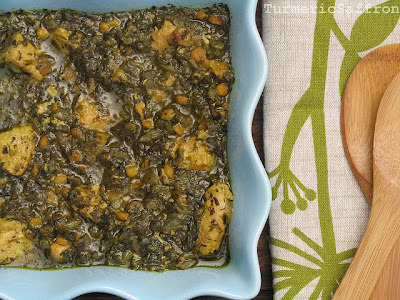 Can't wait to try this dish Azita; I am surprised too at the similarities as in Lebanese cuisine we also cook with bitter oranges. I make something similar. 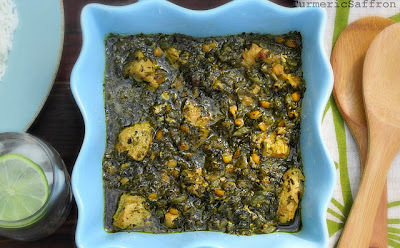 Chicken with split peas and greens is such a beautiful combination and yours is incredible!! What an interesting, warm, hearty and beautiful blog :) Congratulations! Few days ago I have discovered your blog and did already this chicken stew and chia seeds drink. We loved it. However, the only tiny problem is that the dish reheated on the second day doesn't taste so good like the fresh prepared - so it is better to eat it all after cooking. 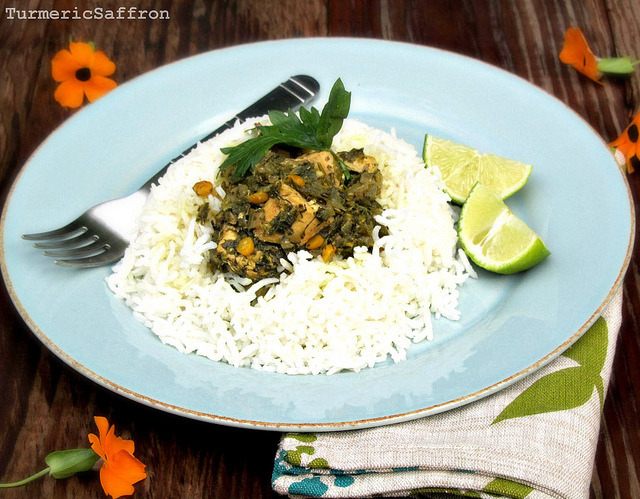 I am Polish, living at the moment in Brazil and until now I haven't cooked anything Persian. It will definitely changed. Thank you very much. Just small remark to your blog. Yes, you can freeze this stew successfully. Congrats and good luck! Cooking Split Peas for 30min on high is a bit much. I'm going to go with 15 min. Also I always thought morghe torsh was just chicken w/ broth, and potatoes, onions, and optionally mushrooms...lime juice, tumeric and garlic to taste...is that a different morghe torsh? Yes, your recipe is the classic morghe torsh recipe and this is just another version of morghe torsh! Thank you for your beautiful blog! 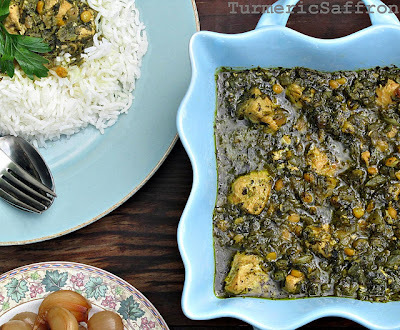 I had never made or eaten Persian food before until I made this, and it was so wonderful! I'm going to make lots of Persian recipes now! This is my absolute favorite recipe - my boyfriend's mother made it for me for the first time a couple of months ago, it was absolutely delicious! I've been thinking how was I ever going to be able to make it and just found this recipe. I'm going to try to make this tomorrow for his birthday & hopefully it turns out just as good! Thank you for all these amazing recipes, your the best!! Would you please find more recipes from the north of iran-cities like Rasht!! I was looking for the recipe ,and I was not satisfied with the recipes ,and finally I found the best and easy one ,thank you so much for sharing your art . I love the recipe ,God willing I will make it tomorrow . Farie jan, if you try it, let me know how it turns out! Thank you so much for your kind words.